The case of child kidnapping has risen over the years. Usually, most reported cases involves outsiders but in this case, he was found in his father’s house. Georgia police have rescued a boy who was missing for four years from behind a hidden panel in his father’s garage. The boy, 13, was found at the Clayton County home of his father, Gregory Jean, 37. The boy was found hidden behind a secret panel in a closet in an insulation area in the house’s garage. His mother reported him missing four years ago. Police arrested Jean and Samantha Joy Davis, 42, who was at the home when the boy was discovered. 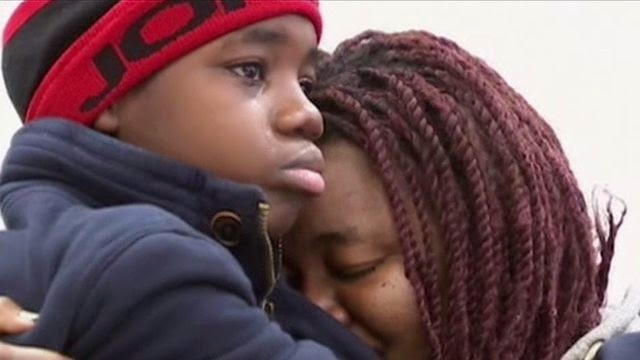 Jean and Davis were charged with false imprisonment, cruelty to children, and obstruction of justice, according to ABC News’ Atlanta affiliate WSB-TV. Police have also arrested three other minors who were at the house and acted on a tip they received at 2 a.m. Saturday morning suggesting the boy had been able to contact his mother, Clayton County police Sgt. Kevin Hughes told WSB-TV. Police had visited the house late Friday night, but people at the home denied knowing anything about the child, police said, according to The Associated Press. When they returned early Saturday they found the boy because he was able to call his mother while officers were at the house, Hughes told the AP. The boy, who has not been identified by police, went missing after visiting his father in 2010.